I Love Being Ahead or At Least With the Curve!! The Wine Spectator 40th issue magazine has an article about canned wine. One of the photos features cans of Underwood Wine. For the few of you that follow me, you saw it here first (August 2016)!! Wine in Cans for Fishing, Boating or At the table? You tell me!! Wines in cans. How extraordinary! I recently tried to purchase some French Rose in cans at my local Specs Liquor store. The wine salesman seemed somewhat appalled that I would ask. (Honestly, I didn’t blame him.) Of course, I came bearing my recent issue of Food & Wine magazine that featured not one, but two, French Roses in a can. He then was more polite about saying they didn’t carry canned wine. So while I am at Trader Joes to purchase a gallon of milk, I came acress these little canned cuties. Yes, I somehow ended up in the wine department. Go figure. So I scooped them up ($5.95 each, 12 oz). I left the canned Pinot Noir on the self — it just doesn’t seem possible that you could find good or even okay Pinot in a can. They may label it Pinot Noir, but it won’t taste like Pinot Noir. Darn, now I will have to go back to double check-because journalists must investigate. I shared these cans of wine with a couple of friends. 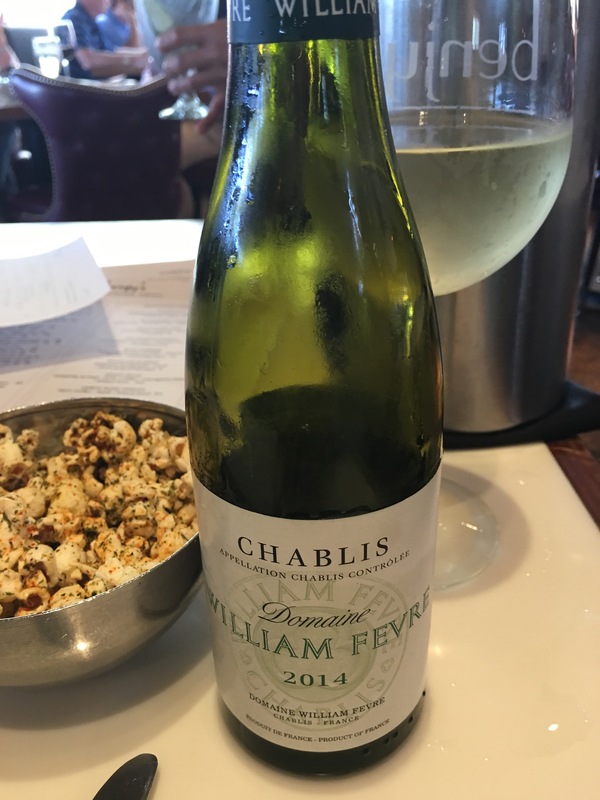 One of my friends insisted she drink them from a glass and decreed the idea of drinking wine from the actual can as “horrifying.” But once we got past that little sticking point–she actually enjoyed them. These wines come from the Union Wine Co. and the grapes are sourced from somewhere in Oregon. No single vineyard. No estate winery. But don’t hold that against them. The Pinot Grigio, our favorite of the two, was crisp and dry with flavors of ripe, bruised pear and apples and ripe peach (13% ABV). The Rose had nice flavors and aromas of peach and strawberry (12%). Give me a hot day and I would drink either of them if a host offered one to me nice and cold, and in a good Yeti. I like many other wines better, but these both have their place… in the sun!! Michael Pozzan Alexander Valley Cab 2014 is easy to drink and its acidity allows it to pair well and show well with a variety of red meats and even red sauces. It has a long finish This wine doesn’t scream of vanilla or baking spices even though it enjoyed 12 months in French Oak. . It’s around town for $15ish. That’s a good deal compared to Silver Oak which also hails from Alexander Valley. In addition to sourcing the very best fruit, it also undergoes much longer aging. The 2012 Silver Oak is just being released this week. 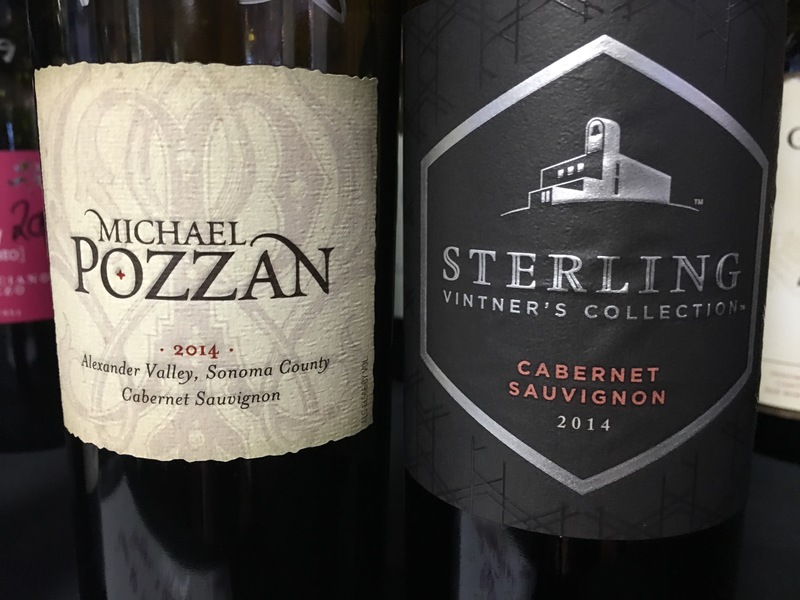 Sterling Vintner’s Collection 2014 is a super soft, super smooth Cab. I think a lot of people would really like it but it’s almost a little flabby for me. It’s got the tannins but the acidity is lacking. But don’t worry, no one will spit it out. And the nice thing about Sterling is the Vintner’s Collection is their entry level Cab. The winery offers multiple higher tiered selections. Their Napa Valley Cab is still less than $20. That might be your best everyday bet. It is ten years old and it has aged beautifully! Although this wouldn’t fall into my everyday consumption, this wine is available at Specs in limited quantities (I checked!!). This is in the $60-$70 range and I feel it was very good for the price. A big, Napa cab with flavors of dark berry, dark ripe plum, with some cocoa and baking spice. The flavor was robust and the tannins were smooth and velvety. It was so darn easy to enjoy this wine. The label puts the alcohol at 15.2%, but the leeway on labeling alcohol by volume is 1.5% in either direction. I felt this one was close to 16%. At that alcohol level, I recommend and advise that you enjoy it with food! Something hearty such as red meat, whether steak, brisket, roast in red wine, or lamb. Enjoy.